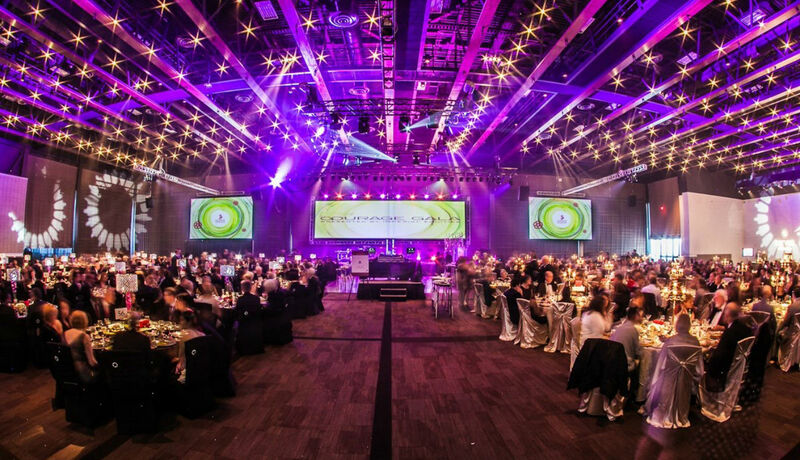 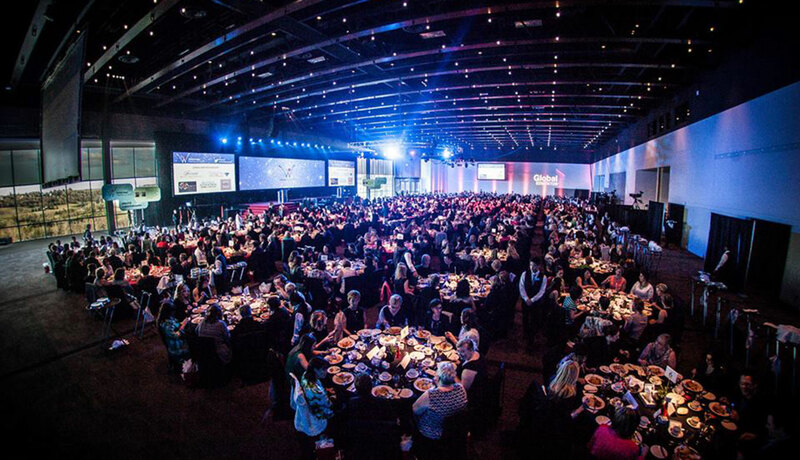 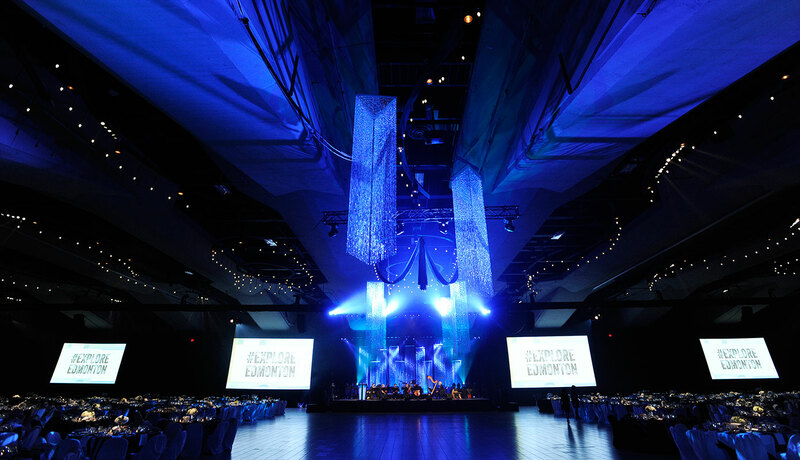 Get a detailed look at the layout of the Edmonton Convention Centre to make planning your event easy. 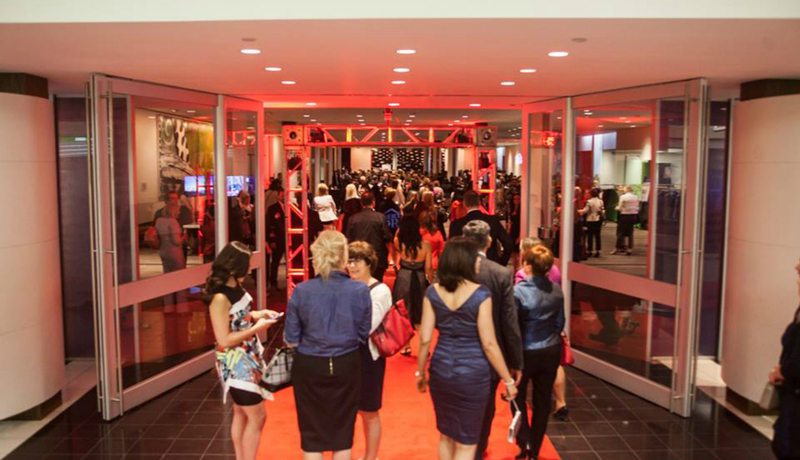 Stopping on the pedway level, take a right and pass through our beautiful Hall D foyer, which features some of Canada’s finest artwork and can host your pre-reception. 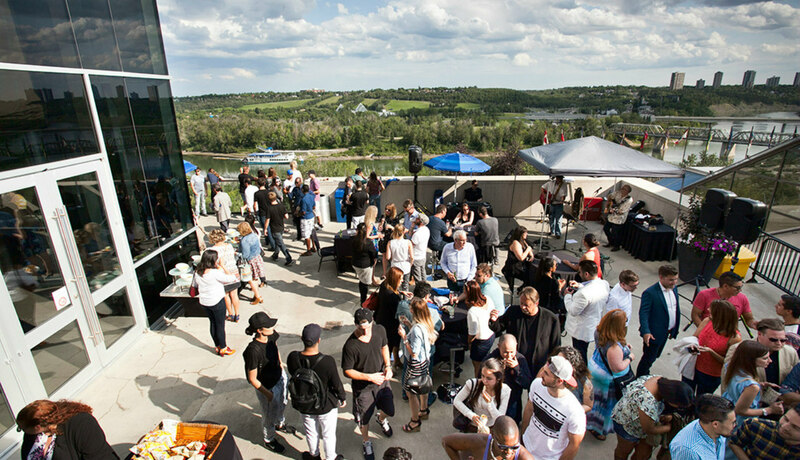 Then, open the doors to 23,600 square feet of space that features an impressive glass wall that allows in plenty of natural light and provides a breathtaking view overlooking the North Saskatchewan River Valley. 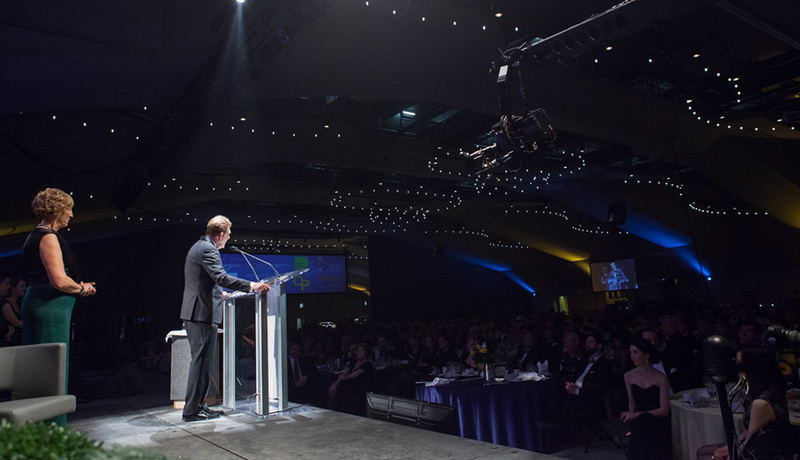 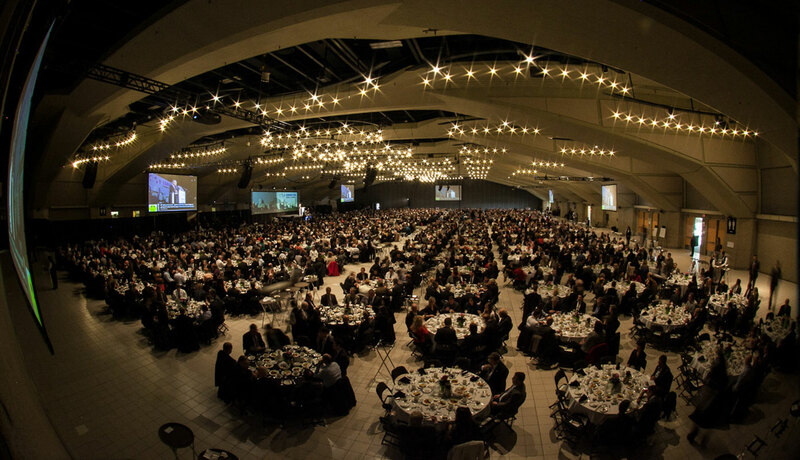 With space for up to 1,400 banquet guests or 2,000 (theatre style), Hall D is one of Edmonton’s most beautiful meeting spaces. 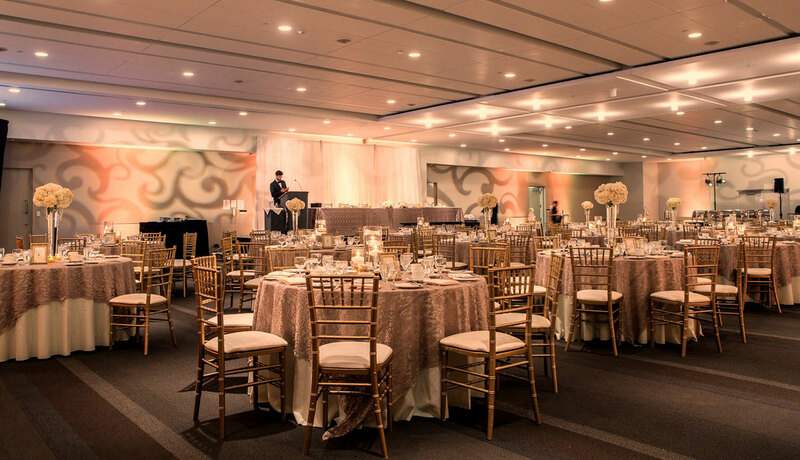 Just west of Hall D is the beautiful 4,000 square foot Riverview Room, a perfect place to host up to 140 guests for banquets or up to 200 for receptions. 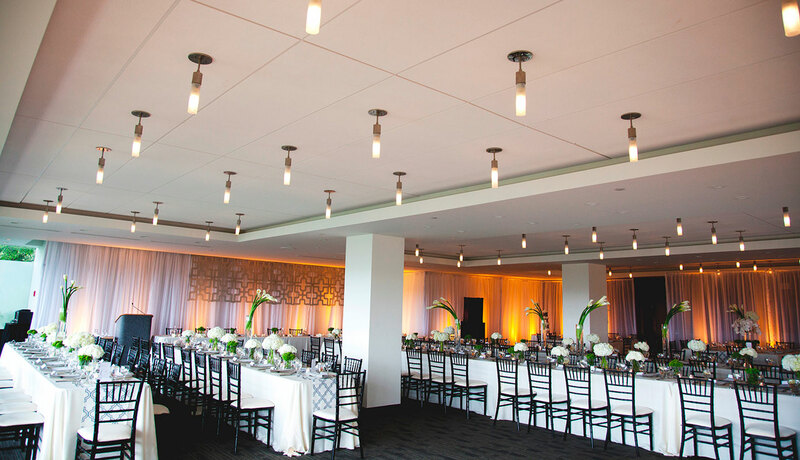 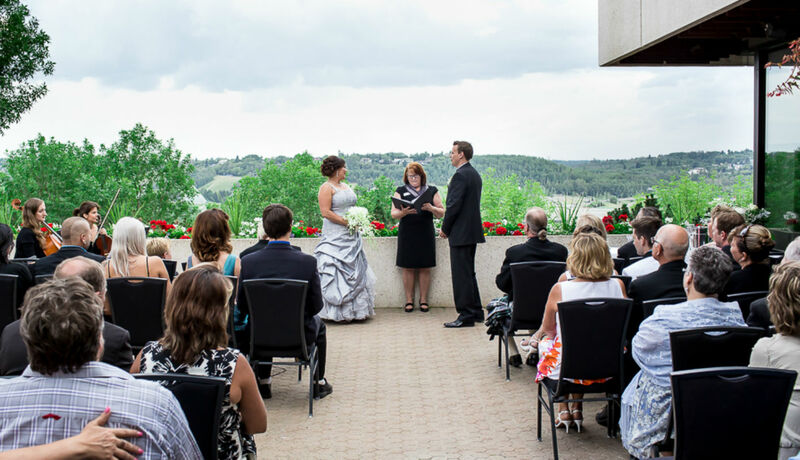 The room’s panoramic view of the river valley provides a beautiful backdrop for your event. 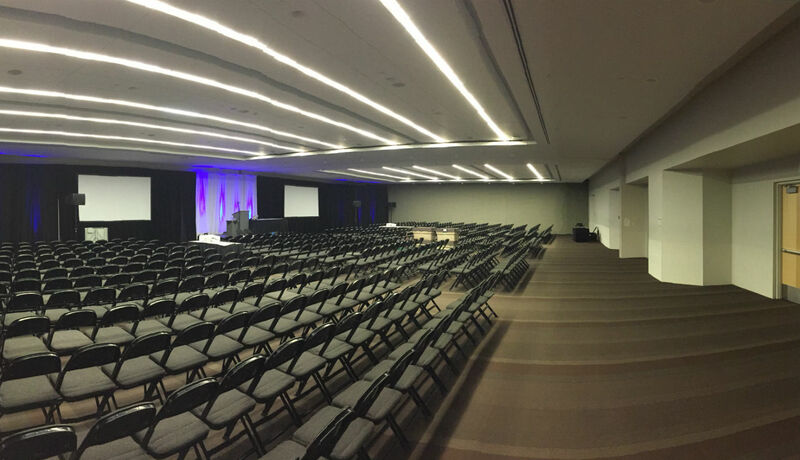 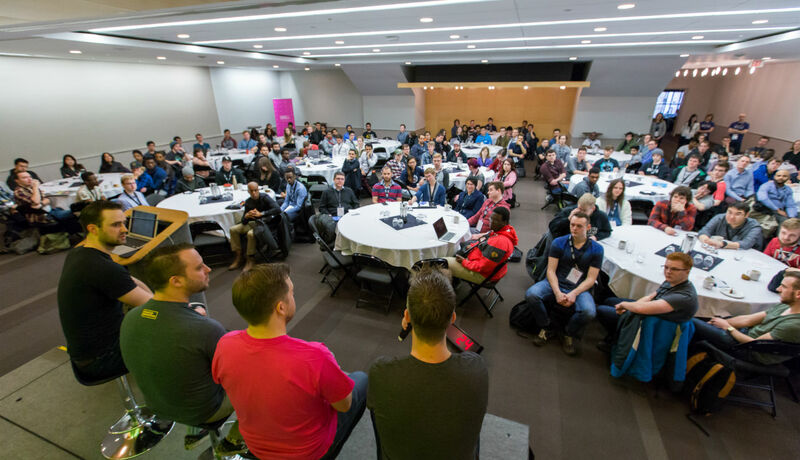 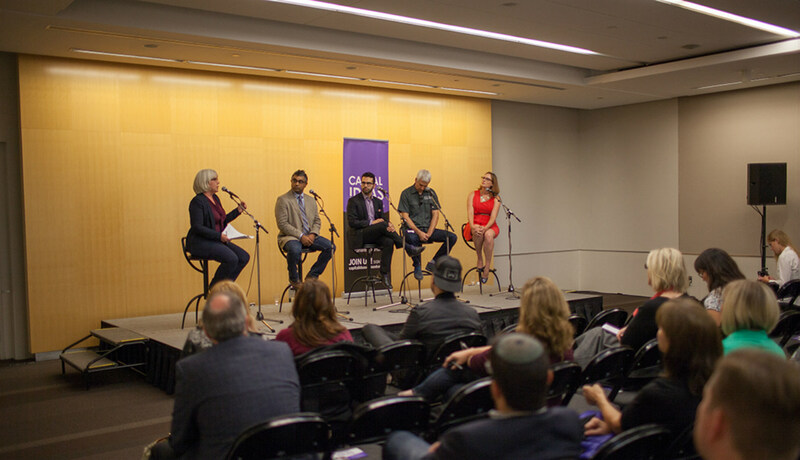 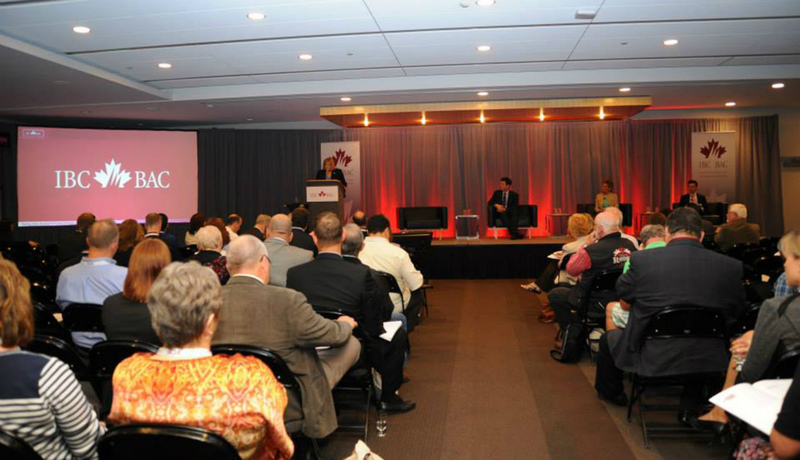 Our assembly level offers unlimited flexibility for your event. 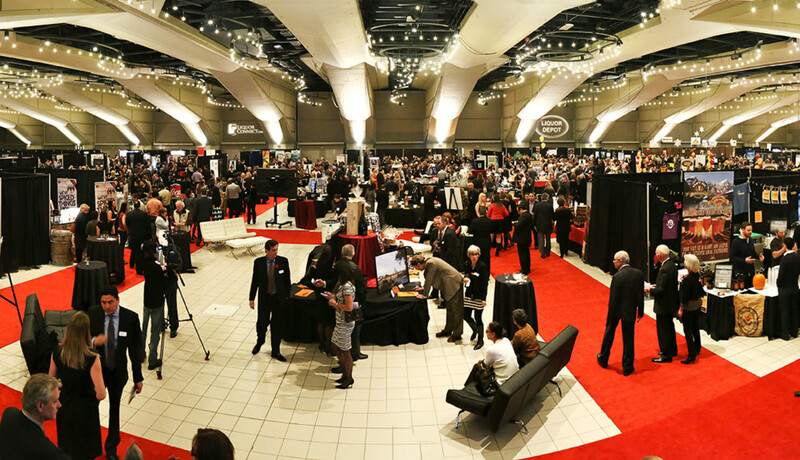 Three large exhibit halls totalling 80,000 square feet of space host everything from concerts to large banquets, meeting pavilions, trade-shows, and more. 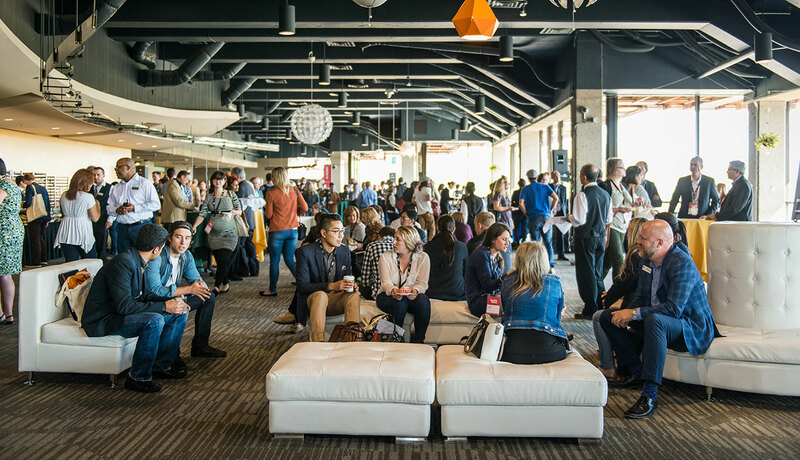 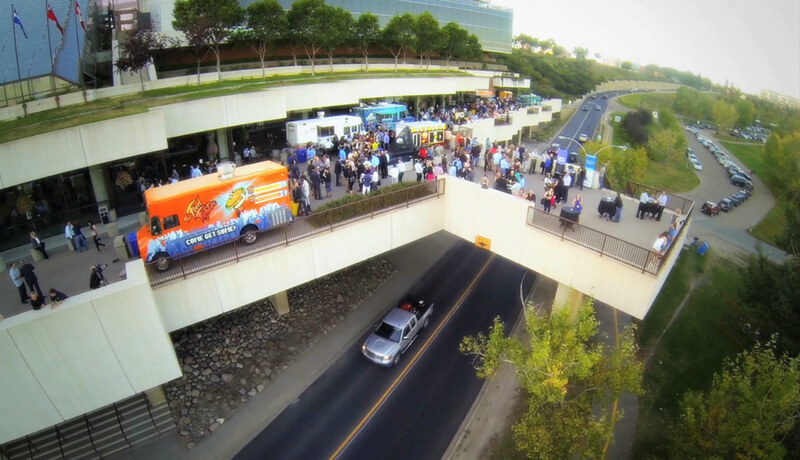 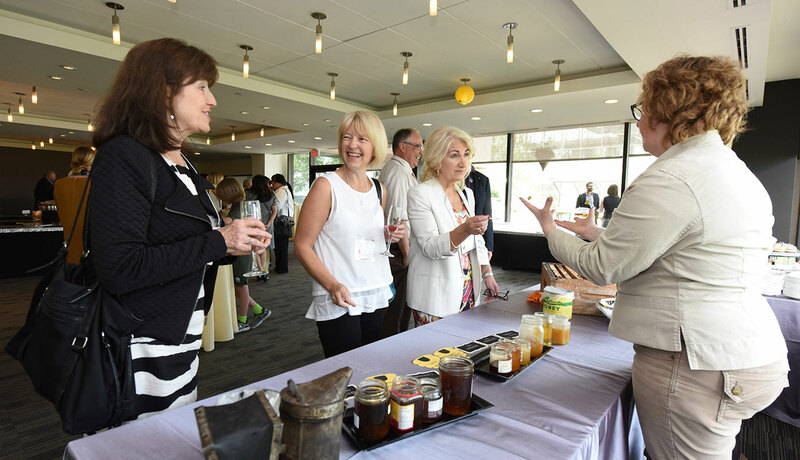 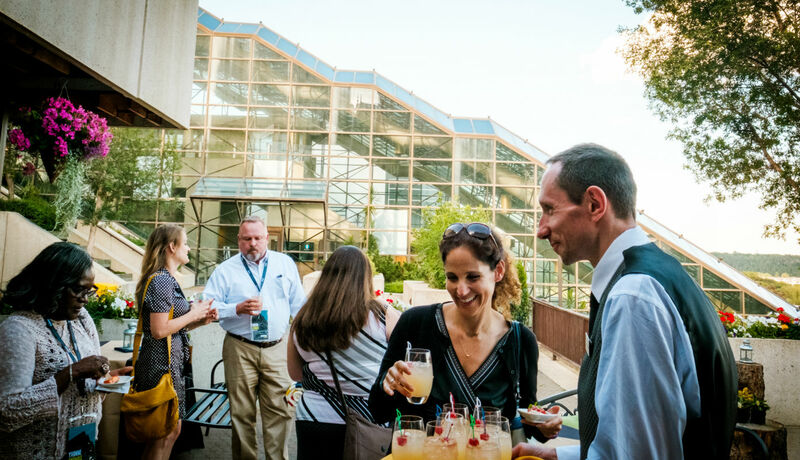 The large breakout and patio space outside the halls allows for additional programming to take place and is a perfect place for your guests to register, network, eat, and do business. 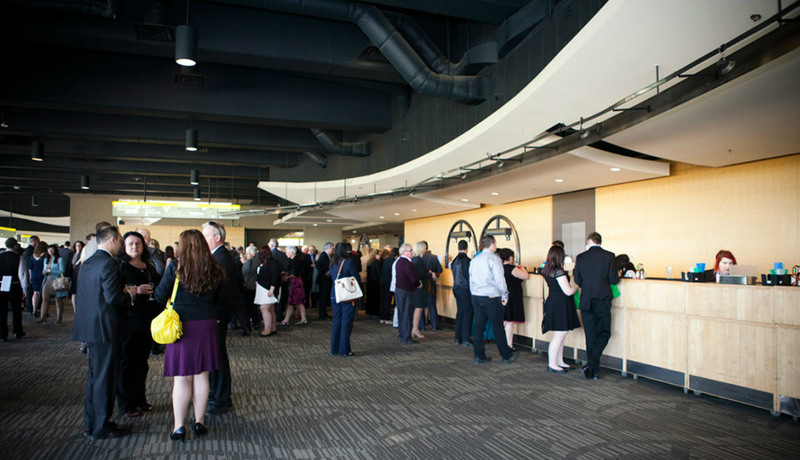 Finally, on the fourth tier of our building sits the meeting level, which features 20 small to mid-sized meeting rooms. 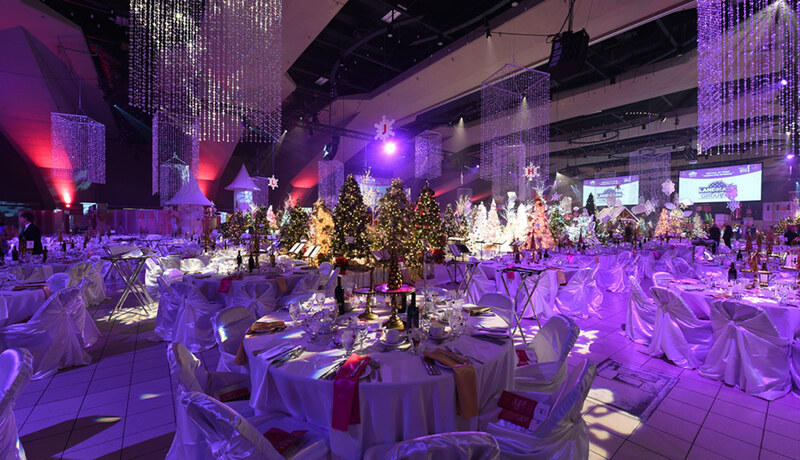 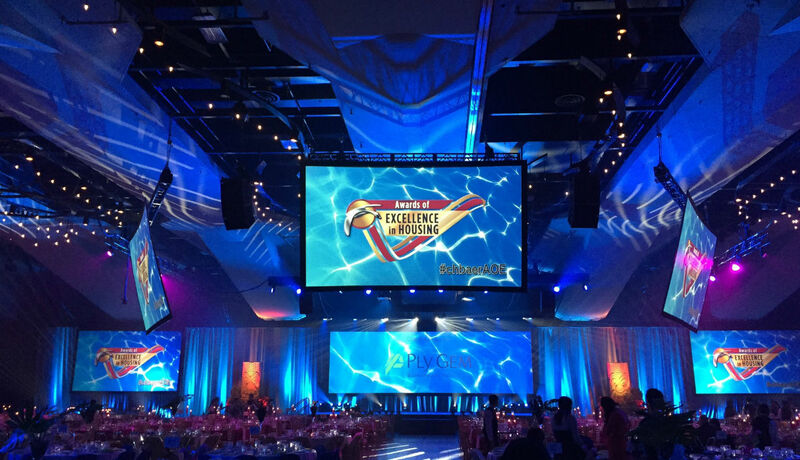 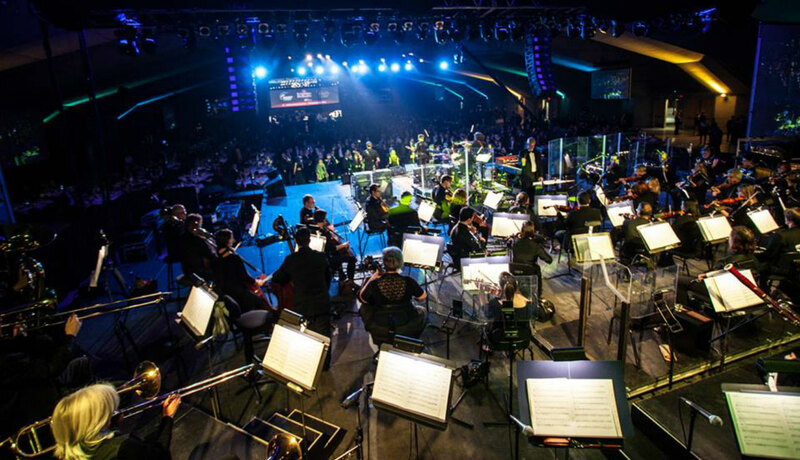 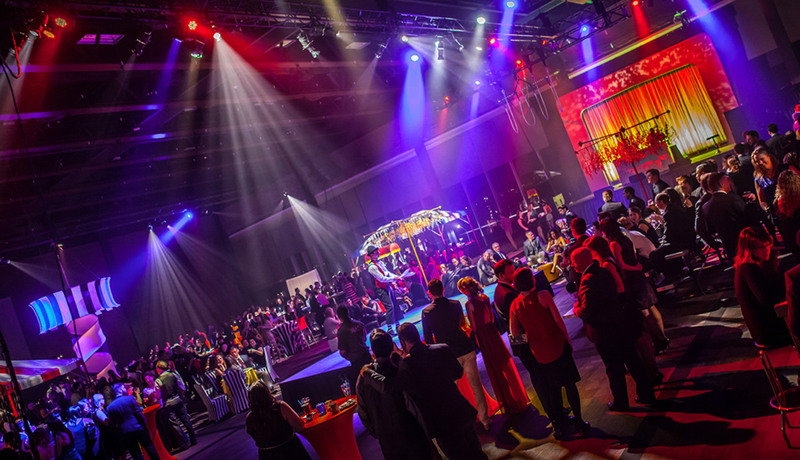 This space is extremely flexible, and meeting planners have been known to work with our team to inject a sense of creativity into their event. 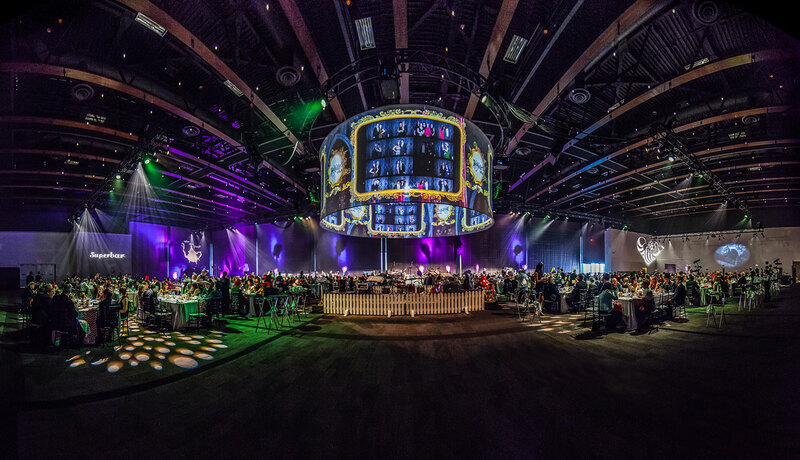 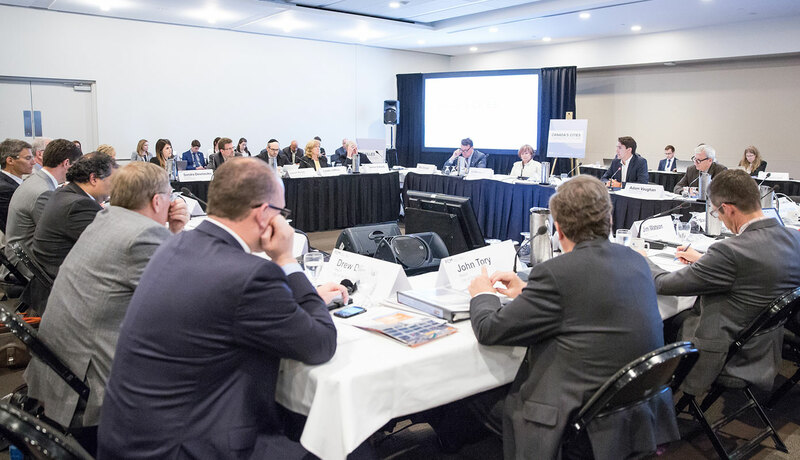 Download the free Edmonton Convention Centre app in the Apple store or the Google Play store and experience Edmonton’s premier convention centre in virtual reality (VR). 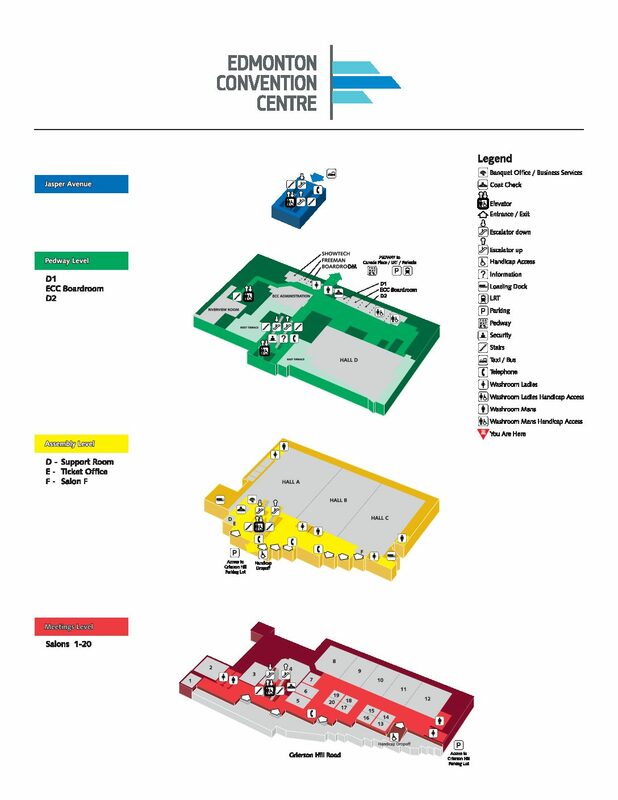 If you don’t have a pair of VR glasses, download the app and ask for a free pair when our sales team gives you a site tour. 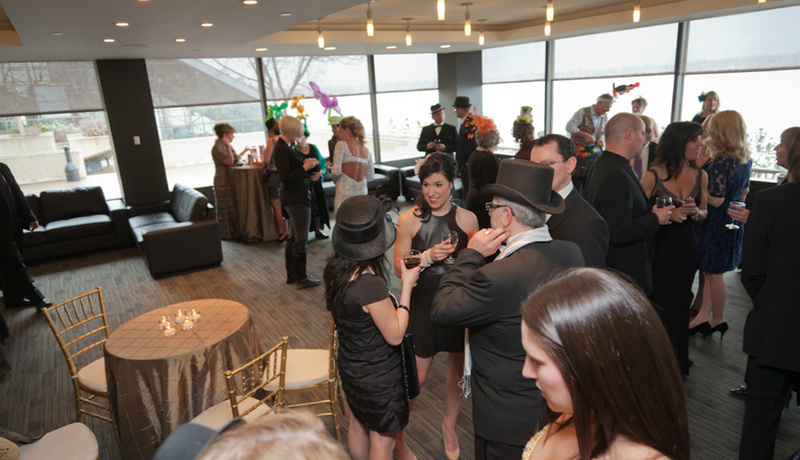 You’ll be able to stand in our empty spaces and see what your banquet, gala or wedding could look like. 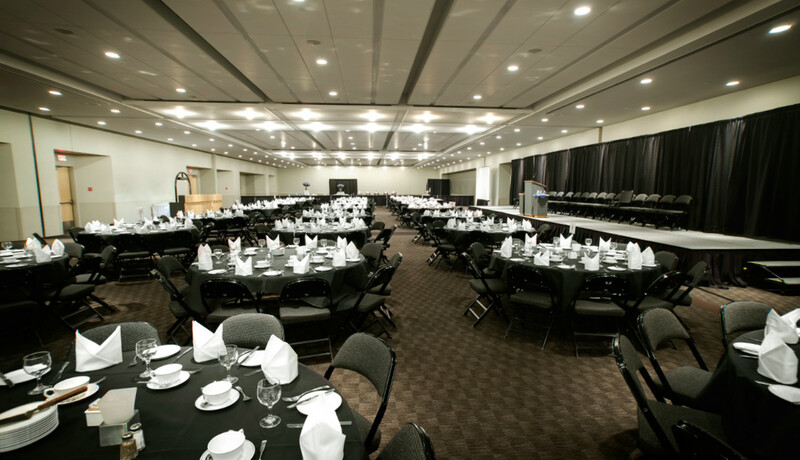 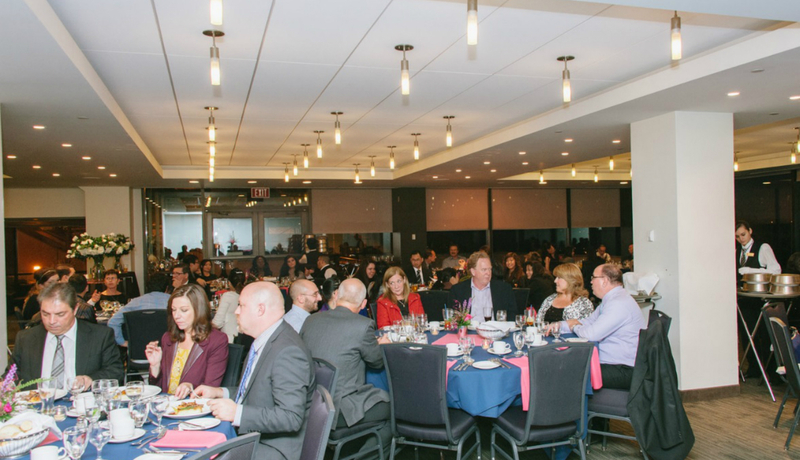 Find our spacious Hall D and elegant Riverview Room on this level that also connects the Edmonton Convention Centre to the underground pedway and adjacent parkade. 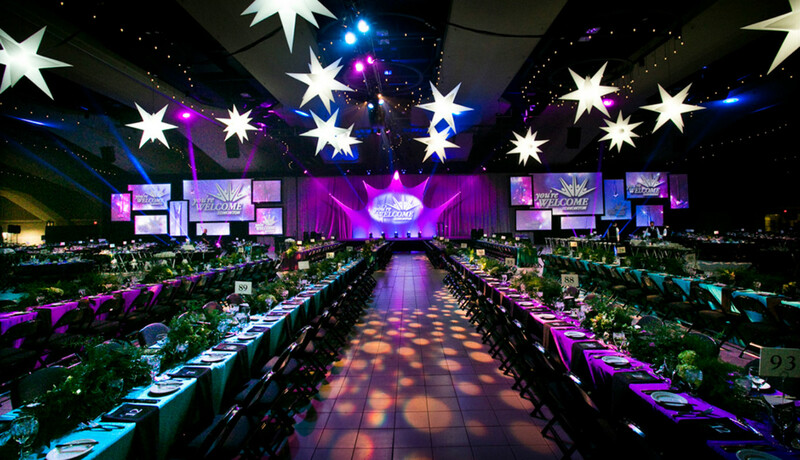 You’ll find our three main banquet halls and exhibit rooms on this level. 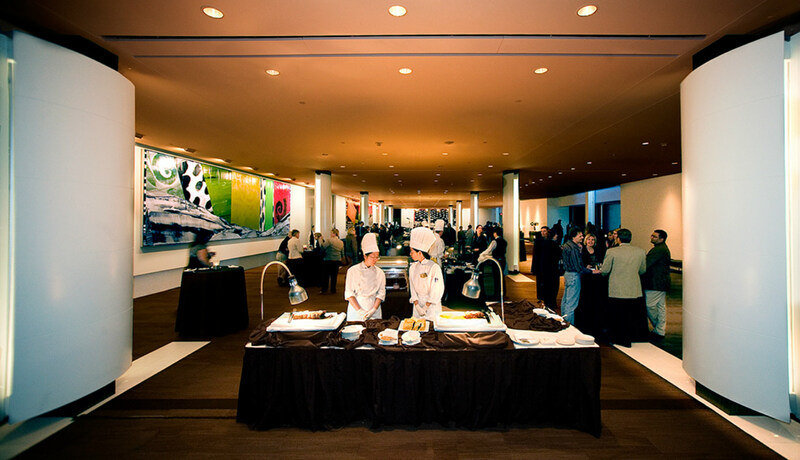 They can also be expanded into one open space for larger functions. 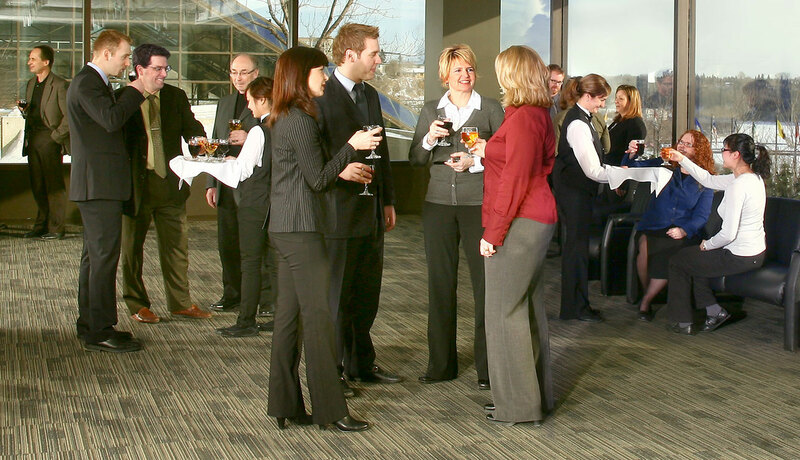 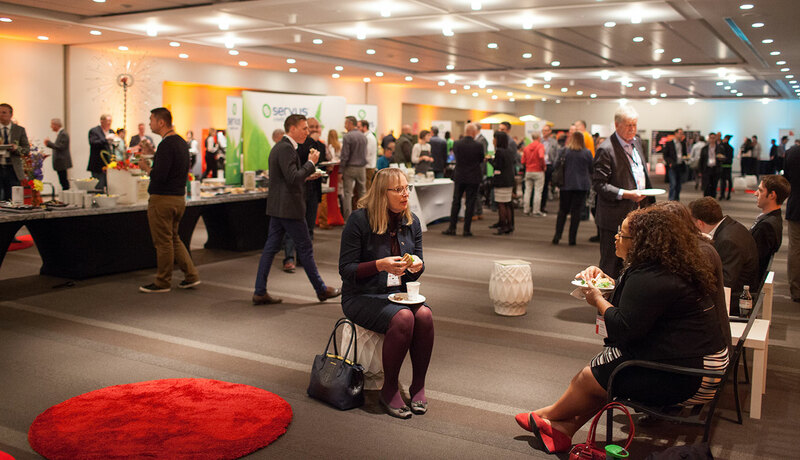 Find the space you need to meet in one of 20 flexible meeting spaces made available on this level.